The Victorian period refers to the reign of Queen Victoria, 1837–1901. Some scholars suggest the Victorian period can include the period from 1832 (passing of Reform Act, which increased the size of the electorate). 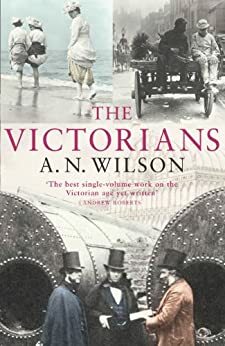 In some cases, I have included people who were active just before the Victorian period because they had an influence on that period. An overlapping period to the Victorian era is the industrial revolution. Queen Victoria (1819–1901) Queen of the United Kingdom (1837–1901). Oversaw extension of British Empire and named herself Empress of India (1876–1901). Victorian Era named after her. Florence Nightingale (1820–1910) Pioneering nurse. Born in Italy, Nightingale served as a nurse in the Crimean war and helped to raise standards of hospitals and the nursing profession. 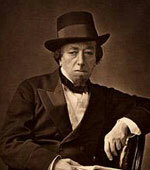 Benjamin Disraeli (1804–1881) British Prime Minister and close friend of Queen Victoria. Associated with ‘One Nation’ Conservatism and the expansion of the British Empire. 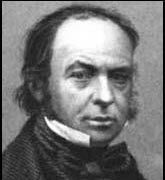 Isambard Kingdom Brunel (1806–1859) English engineer. Brunel was an influential civil engineer of the Victorian period. He built the Great Western Railway from Bristol to London and also developed powerful steamships. 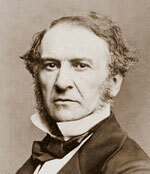 William Gladstone (1809–1898) Liberal Prime Minister. 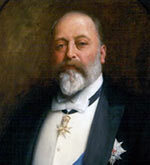 He served as the Prime Minister on four occasions, and as Chancellor of Exchequer on four occasions. Considered to have the epitome of Victorian moral values. 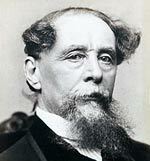 Charles Dickens (1812–1870) Writer and social critic. Dickens more than any other writer captured the Victorian age, especially some of the poverty that was endemic in Victorian inner cities. 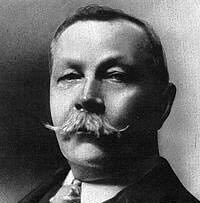 Sir Arthur Conan Doyle (1859–1930) A Scottish physician who was best known as the author of the Sherlock Holmes detective stories. 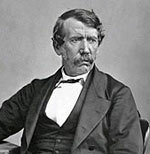 David Livingstone (1813–1873) Explorer. Famously trekked through Africa and became the first European to discover the source of the Nile. A popular Victorian hero who epitomised the age of ‘enlightened Empire’ and the quest for discovery. 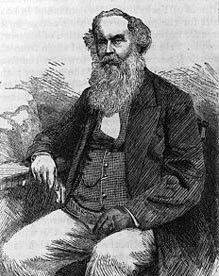 Sir Titus Salt (1803–1876) Sir Titus Salt was a successful businessman in Saltaire, Bradford, West Yorkshire. At a time when many businessmen exploited their workers, Titus Salt built a model village and had a genuine concern for his workforce. 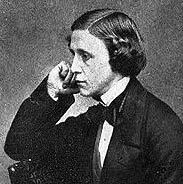 Lewis Carroll (1832–1898) English Mathematician, writer and author of Alice in Wonderland. 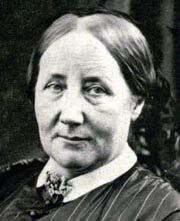 Elizabeth Gaskell (1810–1865) British novelist and social historian. Mrs Gaskell’s novels portray the lives of a cross-section of Victorian society. 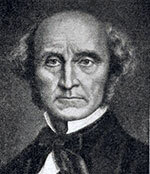 John Stuart Mill (1806–1873) Utilitarian philosopher and supporter of radical/liberal politics and the emancipation of women. These were Victorians who campaigned for improved human rights, the end of slavery, and equality. William Wilberforce (1759–1833) Campaigner to end slavery. 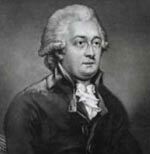 Wilberforce successfully highlighted the terrible conditions of slavery. 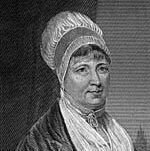 Elizabeth Fry (1780–1845) Quaker prison reformer. She also greatly helped the conditions of prisoners sent for transportation, eventually leading to the abolition of transportation as punishment. 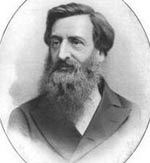 William Booth (1829–1912) Founder of Salvation Army, a Christian organisation dedicated to reducing poverty and ‘saving souls’. Robert Owen (1771–1858) Welsh social reformer who attempted to build utopian socialist and co-operative movement. The Victorian period saw the emergence of the campaign for women’s equality and the vote for women. Emmeline Pankhurst (1858–1928) British suffragette who resorted to militant tactics in an effort to gain women the vote. 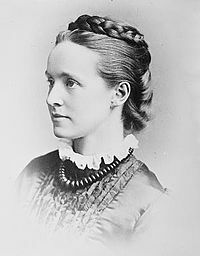 Millicent Fawcett (1847–1929) British Suffragist who campaigned (through non-violence) for women to have the vote and to improve women’s access to higher education. Annie Besant (1847–1933) Women’s activist, political campaigner for working class, Theosophist and Indian nationalist. Charles Darwin (1809–1882) English naturalist. Developed theory of evolution. This created one of the greatest changes of thought during the Victorian period. A few years after Darwin published his theory, evolution became commonly accepted. 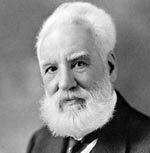 Alexander Bell (1847–1922) Scottish scientist credited with inventing the first working telephone. George Stephenson (1781–1848) Father of the railways, building the world’s first railways (including Manchester-Liverpool line) and changing the face of Victorian society. 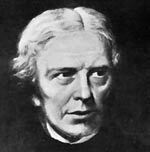 Michael Faraday (1791–1867) Scientist who helped electricity to be used in a practical form. The Victorian period was a golden age of poetry. Here I’ve included Keats, Shelley and the Romantic poets – although their great works really pre-date the Victorian age. Lord Alfred Tennyson (1809–1892) Popular Victorian Poet Laureate, wrote Charge of the Light Brigade, Ulysses, Although In Memoriam A.H.H. 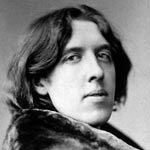 Oscar Wilde (1854–1900) Wit, playwright, poet and author. Wilde was at one time the most popular playwright of his generation but was sentenced to gaol after losing a libel case. 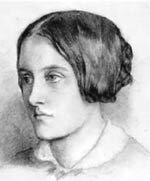 Christina Rossetti (1830–1894) poet. She wrote a variety of poems, including for children, romantic poems and also Christian devotional poems – probably her most famous being the words for the Christmas carol In the Bleak Midwinter. 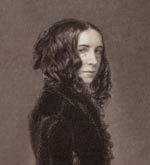 Elizabeth Browning (1806–1861) One of the most prominent poets of her day. She also campaigned for the abolition of slavery and helped reform child labour laws. 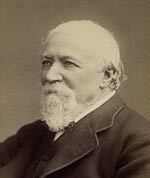 Robert Browning (1812–1889) Victorian poet, political commentator and philosopher. His poems were known for their use of dramatic monologue, and also his intricate use of English syntax. 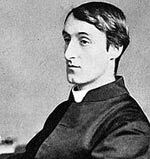 Gerard Manley Hopkins (1844–1889) poet, author and religious seeker. Converted to Catholicism and then became a Jesuit. His poems reflected his spiritual journey and his innovative use of meter and rhythm established him as one of the foremost Victorian poets. 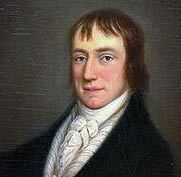 William Wordsworth (1770–1850) Romantic Poet. Along with Samuel Coleridge is credited with helping to launch the Romantic age in English Literature. Emily Brontë (1818–1850) Writer and poet from Haworth, Yorkshire. Her only novel, Wuthering Heights, became a classic of English Literature. Abraham Lincoln (1809-1865) – As President Lincoln fought to keep the union of United States together during the civil war. In his famous Gettysburg speech, he inspired the nation with his noble words and helped to bring about the abolishment of slavery. 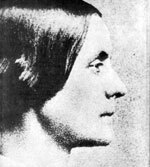 Susan B. Anthony (1820–1906) Political activist for women and human rights. Arrested for voting, her trial became a landmark in the movement for women’s suffrage. Emily Dickinson (1830–1886) American Poet. Though she wrote more than 1800 poems, fewer than 12 were published in her lifetime. 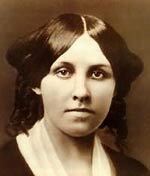 Louise May Alcott (1832–1888) US writer. Best known for books Little Women, Little Men, and Jo’s Boys. 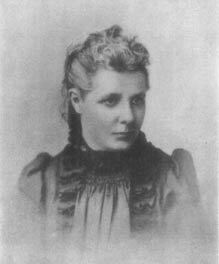 She was a feminist and social activist, reporting the conditions of the Civil War hospitals where she volunteered as a nurse. Emily Murphy (1868–1933) Canadian female lawyer. The first female magistrate in the British Empire. Member of the “Famous Five”, five women who launched the “Persons Case” in Canada, leading to the judgement in 1927 that women are “persons” and eligible to sit in the Senate. 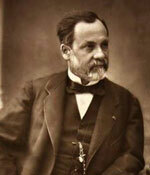 Louis Pasteur (1822–1895) Scientist. Best known for his discovery of the principles of vaccination. He intended a process to stop bacteria growth in liquids, known after him as pasteurization. Marie Curie (1867–1934) Scientist. Nobel Prize in chemistry and Physics, best known for her discovery of a new element, Radium. 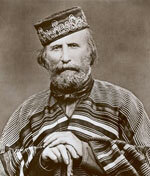 Giuseppe Garibaldi (1805–1872) National hero of Italy. Garibaldi led a volunteer army in the Italian Wars of Independence. He played a key role in uniting Italy. He also fought in Latin America and became known as ‘The Hero of Two Worlds’. 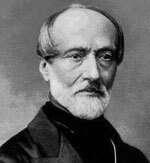 Giuseppe Mazzini (1805–1872) Italian political activist. Campaigned for a united Republic of Italy. Mazzini supported several insurrections against the foreign rule of Italian states. He played a key role in cementing support for a united Italy. Citation: Pettinger, Tejvan. “Famous Victorians”, Oxford, UK www.biographyonline.net, 11/02/2013. Updated 14 February 2018.